Coat a baking pan with Pam spray and then place chicken in pan. In a separate bowl, combine honey, orange juice, and lemon juice. Pour over chicken. Cover pan with tin foil and bake for 10 minutes. Remove pan from oven to flip chicken, and then return it to the oven for another 10-15 minutes. 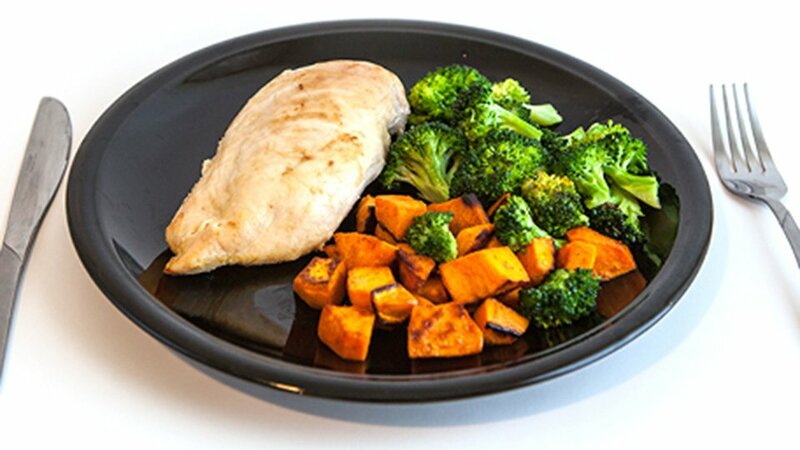 For a full meal, pair chicken with green vegetables and, depending on your carbohydrate needs, a starch.